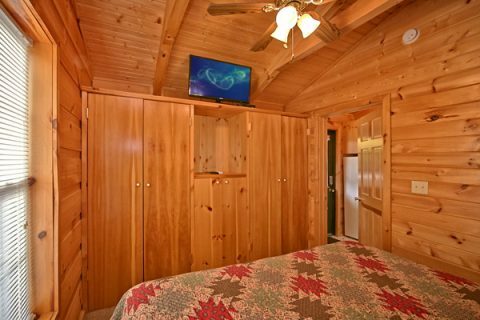 "Where The Magic Happens" provides vacationers cheap Pigeon Forge cabin rentals located near Dollywood and Pigeon Forge attractions, providing you with a cabin that boasts a prime location and stays within your budget. 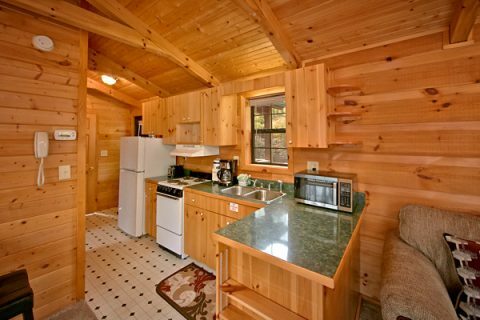 Looking for the comforts of home in a Smoky Mountains vacation rental cabin on a tight budget? 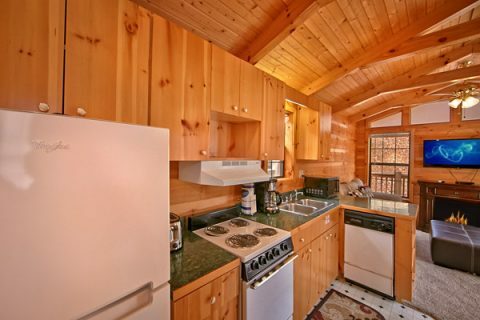 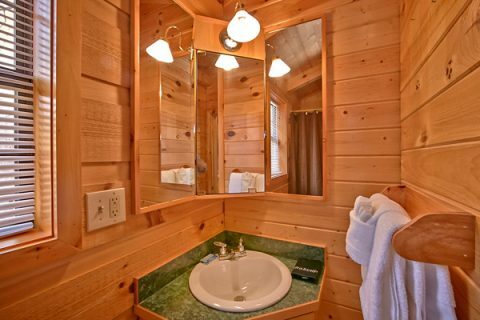 This is the cabin for your getaway to the Smokies! 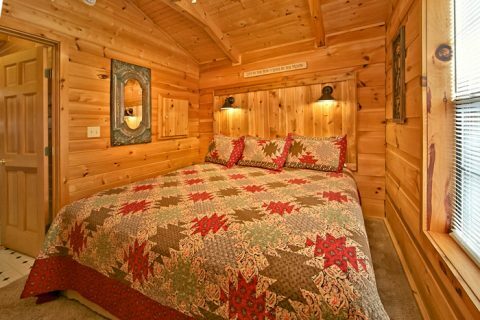 "Where The Magic Happens" provides guests with a snug 1-bedroom cabin with comfortable furnishings that invite you to relax. 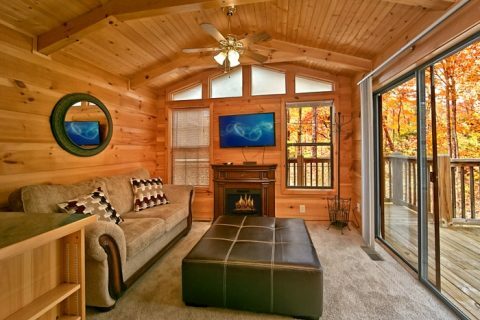 Enjoy watching movies on the 40-inch flat screen television in the living area over the cozy electric fireplace on the plush sofa. 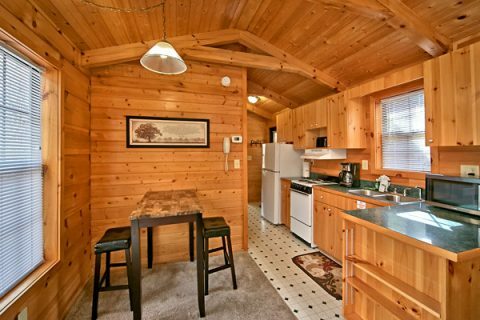 Place some candles and roses on the bistro dining set and enjoy a romantic dinner for two fresh from your cabin's kitchen. 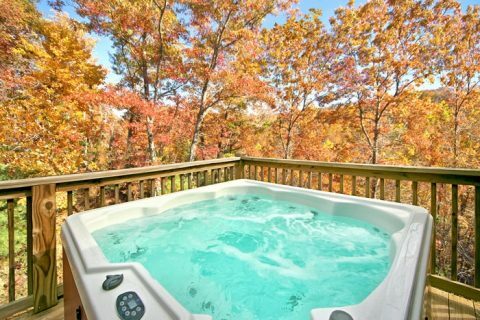 In the evenings, unwind in the warm waters of your hot tub, and, when it's finally time to turn in for the night, relaxing in your king-size bed while watching the flat screen television. 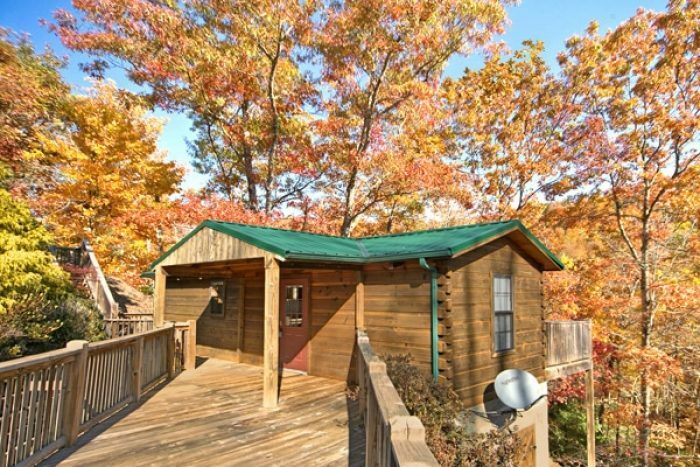 Located in the Paradise Ridge area, your cheap cabin near Dollywood places you and your guests less than 5 minutes from Tanger Outlet Mall's over 100 specialty outlet stores and just another two minutes from Downtown Pigeon Forge. 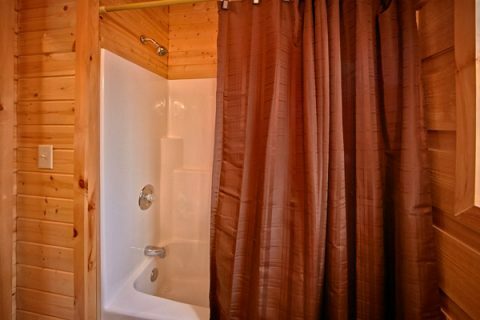 Need several cheap Pigeon Forge cabin rentals for keeping additional family members or your group close together? 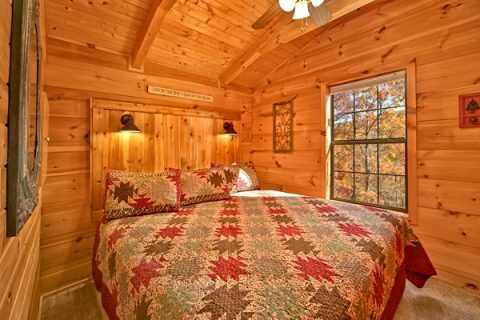 "Where The Magic Happens" rests within walking distance of "A Long Kiss Goodnight," "Enchanted Moment," "Secret Rendezvous," "Cloud 9" and "Wonderland" Pigeon Forge cabin rentals. Book already cheap Pigeon Forge cabin rentals online with Cabins USA for an additional immediate Online Savings for even more vacation savings!